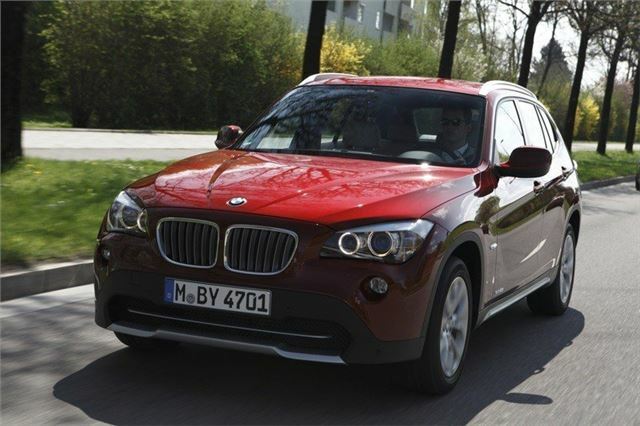 Unless you’re thinking of emigrating to mainland Europe soon, you’ll probably never drive the BMW X1 xDrive28i. To be honest that’s no great loss. BMW only sells diesel X1s in the UK, and having driven this new flagship petrol version, we’re not convinced the company should change tack. But the 2.0-litre TwinPower engine under the bonnet of the xDrive28i will become very significant indeed. Strict EU CO2 emissions regulations are calling time on big capacity petrol engines - engines like BMW’s almost iconic 3.0-litre straight six petrol. This four-cylinder turbocharged engine is designed to gradually replace the six-cylinder unit. It represents a paradigm shift for BMW; four-cylinder diesels are one thing, but usurping the smooth revving six-cylinder petrol by using four cylinders and a turbo is quite another. The TwinPower name denotes its twin scroll turbocharger, which helps it to develop 242bhp. That’s 16bhp less than the 3.0-litre six-cylinder petrol currently in the BMW 528i. However, torque is up by 13% yet CO2 emissions down 16%. But on the road it means character is down, too; BMW will have to give this engine a fruitier exhaust note if it’s to satisfy drivers of a sportier predilection. That said, it makes up for this slight gruffness with the sort of low down pull usually found in powerful diesel engines. Peak torque is available from just 1,250rpm, so in the X1 we’re driving here, with a six-speed manual transmission, it feels effortless, picking up pace strongly and cleanly where a six-cylinder would feel out of its comfort zone. It’s fair to say that the X1 isn’t the best showcase for the engine. Its ride is over-firm and it doesn’t possess the usually dynamic balance that makes rear-wheel drive BMWs so much fun to drive. But BMW has just announced that the unit will star at the New York Motor Show, under the bonnet of the new Z4 sDrive28i - likely to come to the UK soon. 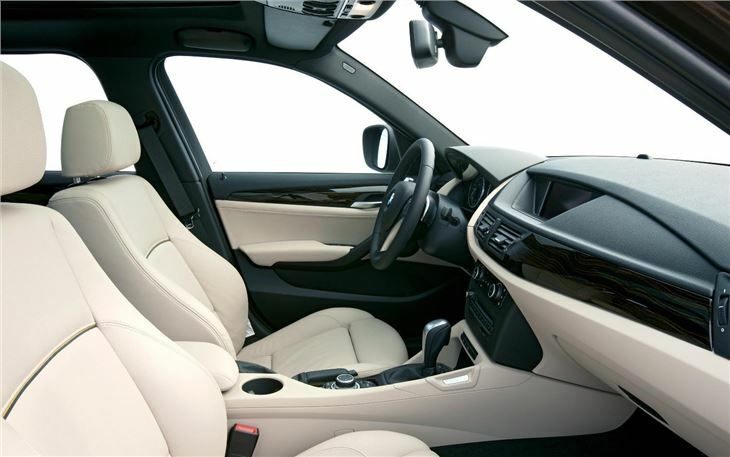 It will then go into sportier versions of the next-generation 1 Series, due to be unveiled at the end of this year, and later the 3 Series and 5 Series. It can, and will, be de-tuned in certain applications for improved economy. Looking further into the future, this engine will pave the way for the next generation of BMW EfficientDynamics (ED) engines, due in 2015. The ED family will comprise three-, four- and six -cylinder units, petrol and diesel, and each turbocharged. There’ll be hitherto unseen levels of modularity between them, with 40-60 percent of parts shared between each engine, including an identical cylinder of around 500cc capacity. This will keep development and production costs down - with savings passed on to the customer, says BMW. BMW is aiming for 68bhp and 74lb.ft per cylinder from the petrol versions, with 54bhp per cylinder and similar torque from the diesels. They’ll all be designed to couple neatly with electric motors too, as BMW looks to expand the number of hybrid models it offers. Using BMW’s stated power target for each cylinder, it follows that even the tri-cylindered runt of the litter should develop over 200bhp - more than enough for even a 5-Series. BMW says the three-cylinder will use a unique type of balancing shaft to ensure it retains the characteristic engine smoothness that the company is famed for. So, while a BMW engineer we spoke to would only confirm that the 1.5-litre unit will reach the MINI and the 1 Series for certain, seeing it in the 3 Series and 5 Series are intriguing and distinct possibilities. With stringent CO2 targets in place, and the desire for big cylinder counts in executive cars increasingly taking a back seat to keeping fuel costs down (the 520d makes up 70% of 5 Series sales in the UK), ‘315i’ and ‘515i’ could well end up on 2015’s company car lists. Just a few years ago you’d have been laughed out of the clubhouse for suggesting that.